Artist Venla Kivela who was Alan and Kai’s assistant and interpreter picked up and removed poo — with tissue — at the market square so that no one would have to step on them. | RUN! RUN! RUN! 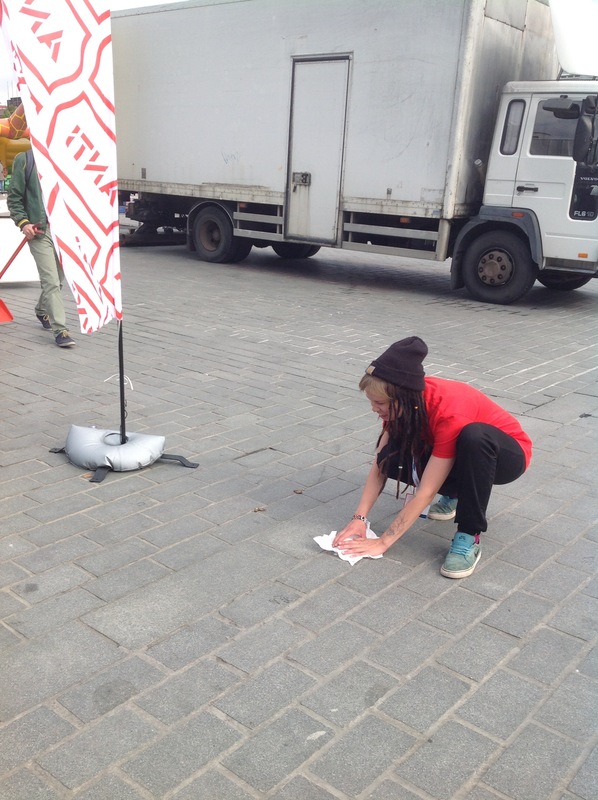 Artist Venla Kivela who was Alan and Kai’s assistant and interpreter picked up and removed poo — with tissue — at the market square so that no one would have to step on them.